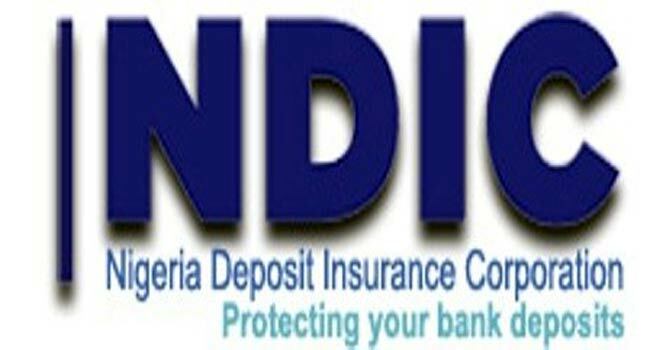 The Nigerian Deposit Insurance Corporation (NDIC) on Tuesday, said it generated about N91 billion premium from deposit money banks in the 2018 fiscal year. The Managing Director of NDIC, Mr Umaru Ibrahim, while addressing the House Committee on Insurance for the 2019 Budget Defence at the National Assembly, Abuja, said though the corporation had expected to generate N101 billion in the year, the organisation had not done badly. ”On page 19 of the proposed budget document, we have given the assumptions of the 2019 Budget. ”Most of these are well known to all of us; issues relating to exchange rate, inflation, the rates of returns in terms of investment in treasury, bills and federal bonds, etc. ”On page 29, we go to the comparison. We have a table we have given a rundown of the premiums we estimate to have. ”In 2017, we provided the estimated as well as the actual and the variance and so also 2018. ”Now, 2018 for instance, from the deposit money banks, we expect to generate N101 billion. ”The actual that we got in December 2018 was N91 billion. The estimated was N92 billion. So we are not far from that,” he said. Ibrahim, who said that NDIC got N991 million from the primary mortgage banks and the micro finance banks in 2018, said the corporation hoped to collect N2.1 billion in the 2019 fiscal year. ”As for the primary mortgage banks and the micro finance banks, we collected N991 million in 2018 and we hope to collect N1.2 billion this year in spite of the fact that some of the micro finance banks are struggling. ”However, some of them are doing well, especially the bigger ones; the Police Micro Finance Bank, LAPO, etc,” he said. According to him, about 5 to 6 per cent of them contributes to about 80 per cent of the entire premium collectable. ”Then we have the non-interest deposit insurance fund. This is coming mainly from JAIZ Bank. It is their own sort of premium that we collect,” he said. The NDIC boss said the sum of N32.2 billion was provided for capital expenditure in the year 2019. He said the budget estimate included the completion of three major projects of the corporation which were its head office annex, Abuja; Lagos office, Ikoyi and training centre in Lekki. According to him, all of these are expected to be completed by 2020. He also said that the corporation would embark on the construction of its three zonal offices in Ilorin, Bauchi and Benin, and would be completed by 2020. ”We envisage that the Benin land if we are lucky to get it, may cost about N400m. ”We have also provided the sum of N700 million in this year’s estimate to purchase a piece of land around the head office. ”It is about 2000 to 3000 square metres so that we can build a multilayered parking space. If you go to our office now, you see a lot of cars without parking space,” he said. The Chairman, House Committee on Insurance, Rep Olufemi Fakeye (APC-Osun) said the committee would by June embark on an oversight function at the Abuja and Lagos offices of the corporation to verify how the organisation had fared in its mandate. NDIC’s total personnel expenditure for the 2019 Budget proposal is N40.6 billion while the overhead expenditure is to gulp N24.5 billion.